GoAnywhere MFT’s Automate Enterprise Cloud Connector simplifies how IT teams work with workflows, tasks, agents, users, and more in Automate Enterprise. 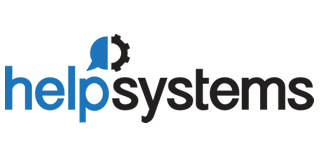 Achieve easy management of important Automate Enterprise processes right from your GoAnywhere environment. This is not a comprehensive list. For full details on what actions you can take with the Automate Enterprise Cloud Connector, use the instructions below to visit the Cloud Connector Marketplace. Finding new cloud integrations for your environment is a breeze! 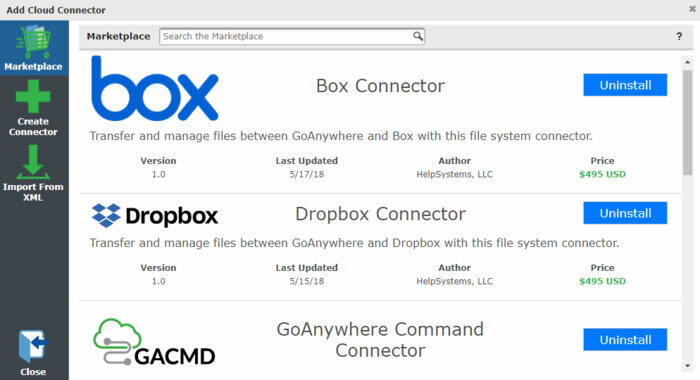 With GoAnywhere MFT’s Cloud Connector Marketplace, users have access to many of the industry’s most popular APIs, including Jenkins, JIRA, Trello, Zendesk, and Google Cloud Storage. Custom connectors can be also designed using GoAnywhere’s Cloud Connector Designer—no coding or programming experience necessary! In addition, new GoAnywhere connectors can be downloaded without needing to update the software. With GoAnywhere’s Automate Enterprise cloud integration, you can simplify how you interact with workflows and other processes in the Automate Enterprise software. See how this Cloud Connector might work for you; get started with GoAnywhere today.